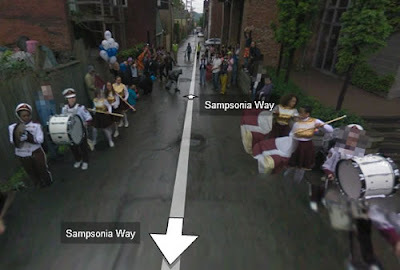 Ananka's Diary: Is Sampsonia Way the Greatest Street in the Country? In Google Maps, you can see a red blob representing our car!! Nothing that interesting ever happens around here. Well they're lucky they were actually aware that the Google van was coming by. We had absolutely no idea! Now the street view shows my black cat sitting down in the driveway, he looks so funny.